Sad to see foals go but glad they went to good homes! 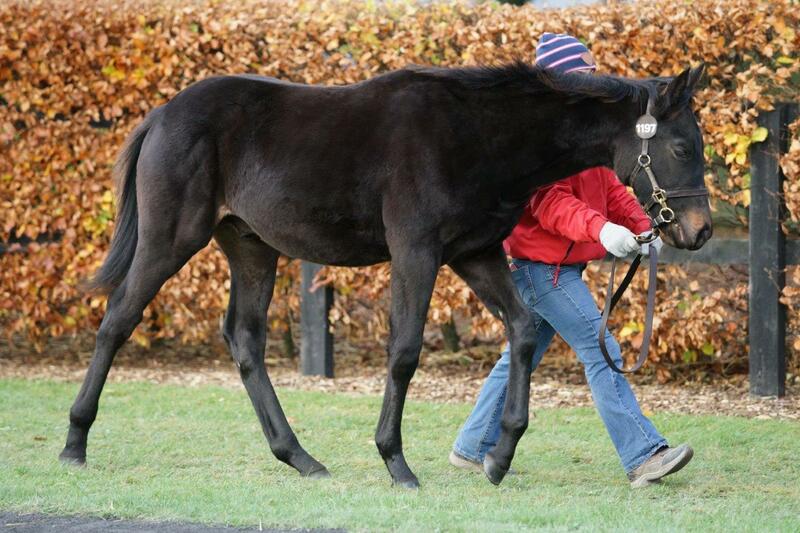 Thriving in the sales environment was our Cape Cross ex Theola colt who was purchased by Darley for 140k. Second leading consignor by avarage and third by aggregate! There was huge anticipation around the sale of our Galileo colt who remains the only weanling colt by the sire to be sold worlwide this year. 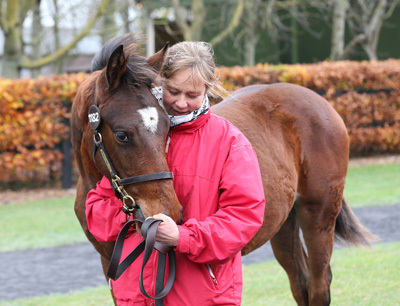 The consensus amongst the bloodstock specialists was that he was an exceptional colt, both in physique, movement and temperament with the veterinary requirements to match. He looked a picture and behaved like a true professional, in fact he showed better than most yearlings do, as did all our other foals also. The price of 475k was less than we had hoped for but it was clearly demonstrated that we are genuine vendors of quality foals and that we adhere to our principles of integrity and transparency at all times. We once again finished second in the consignor's list by average price and third by aggregate. 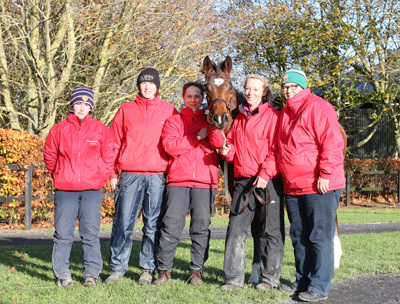 This is a huge achievement with only four foals catalogued and three foals sold. 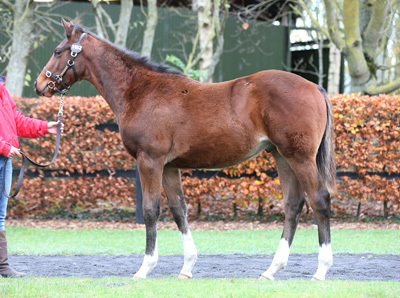 We sincerely thank the purchasers of our foals and wish them the very best of luck in the future. Left: the eventual buyer of the Galileo colt, happy Swiss people and Mr and Mrs Oxx contemplating our fate! The sales success was team effort through and through and we would like to thank our "backroom" staff Tom Murphy, Sandra Foley and Laura Birt. The sales team lead by Dee Nolan and supported by Emma Dunning and Sandrine Gorsky did a brilliant job and the foals looked wonderful as well as Area U who looked almost "Swiss-tidy"! 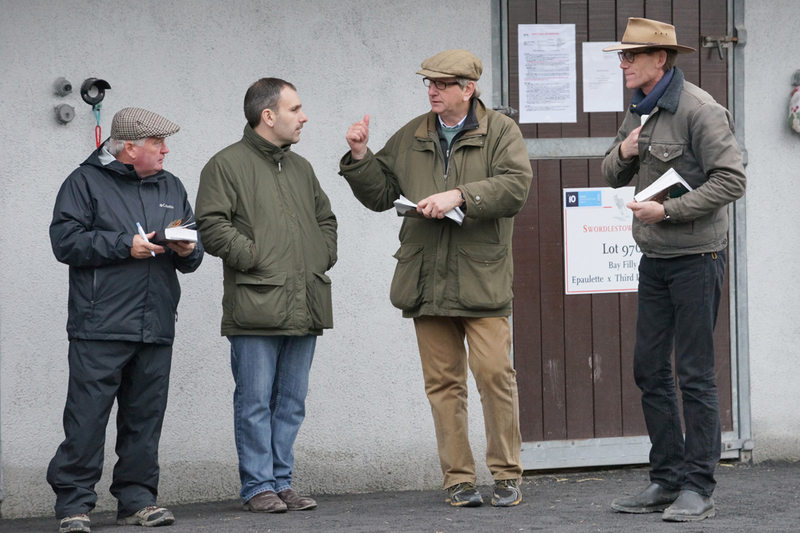 Last but not least we would like to thank Goffs for their great effort to promote the Galileo and Ger Hennessy and his team who went out of their way to make the challenges of sales as easy as possible for our foals. Now it is time to concentrate on the selection of the 2016 stallions who are in general overpriced and make the choice difficut for breeders . The production of our 2017 crop will be truly a challenge!